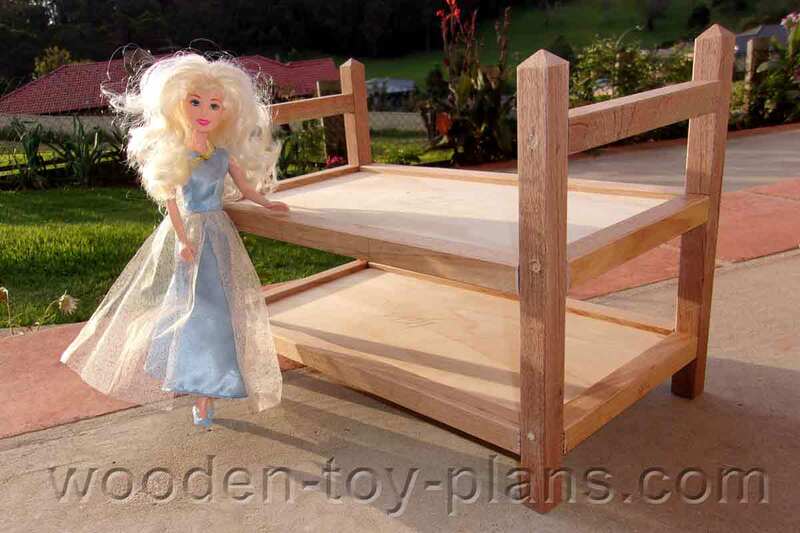 Free doll bunk bed instructables plans easy to make woodworking project. One of the reasons I like to design and make wooden toys is the fact that I don’t need to use expensive woodworking machinery. All I used for this project was an electric drill, a 12 inch disk sander and a hand saw. If you have a clamping mitre box saw combination, you wouldn’t really need the disk sander. If you want to, you can use a router to cut the grooves for the base. 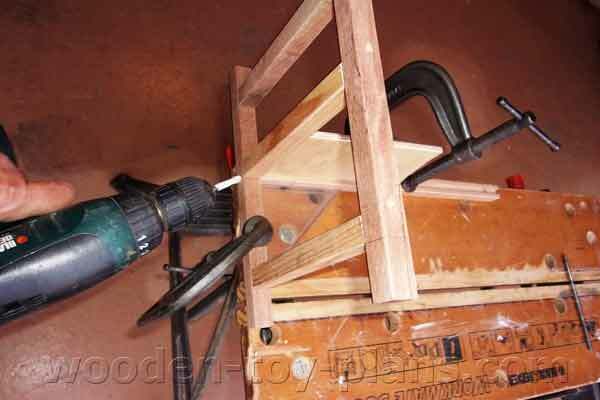 To do this, I used a D-handle router mounted in a home made router table. The label says DAR (Dressed All Round) 18 18 SEL ( Selected.) It’s available in 2.4m lengths. For the base I used 7mm plywood. I found a packet of 5mm dowels at my local craft shop, which proved to be ideal for this project. Cutting the rails to length. The horizontal rails have to be cut to the same length, and the ends have to be square. The way that I did this is to tape the pieces together and sand them square with a 12 inch disc sander. 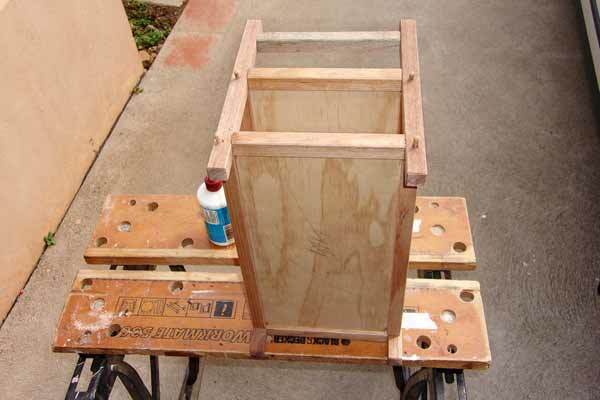 Another way to do this is with a clamping mitre box saw combination. I am using 7mm project plywood for the base, and to attach this to the rails, I have to cut a groove with a router mounted in a router table. As I said before, if you don’t have a router, simply attach the base to the underside of the frames. The holes are drilled in the post on the high side on one corner, aiming slightly down into the end rail. One the other corner, the hole is drilled on the low side, aiming slightly upward. The red line shows the angle to be drilled, and the blue triangle highlights the clear plastic square I was using. Wrap a piece of tape around the drill bit to limit the depth of the hole. 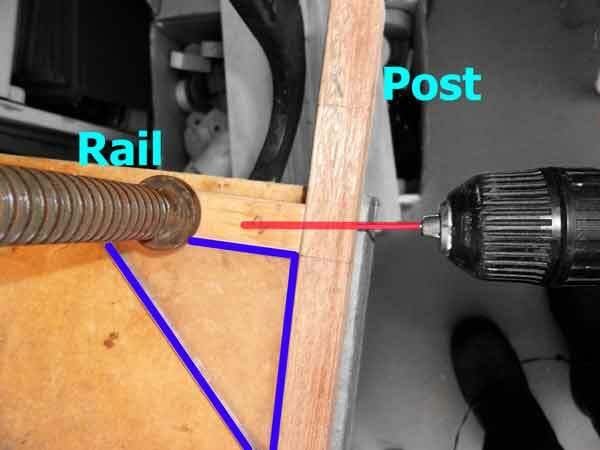 The top rail dowel pin is simply drilled at 90 degrees because there is no other connecting rail. 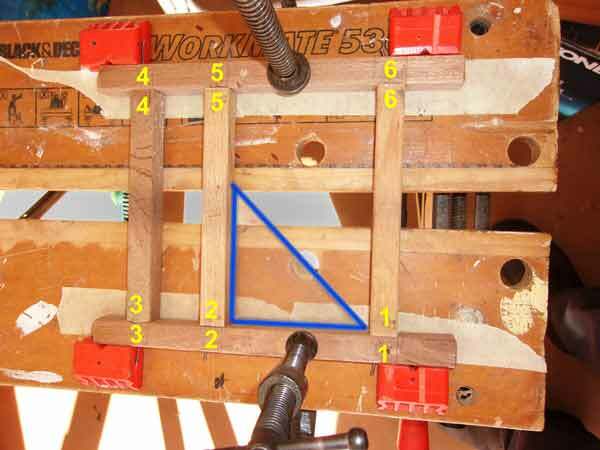 Here is how I assembled the end frames using my trusty B&D Workmate. You don’t see the grooves in this photo because they are facing down. Remember to mark the frames as you go so that you can re-assemble them in the final steps. I found it was easier to complete the two end frames first, one at a time, with the assembly of the side frames in the final step. This photo shows the end frames already assembled. I am using a scrap piece of 7mm plywood to keep the alignment, and in the corner you may notice a clear plastic square. Trim the dowels flush, sand down the sharp edges, and the project is ready for painting or varnishing. Share photos of your doll bunk bed project using this contact me form below. 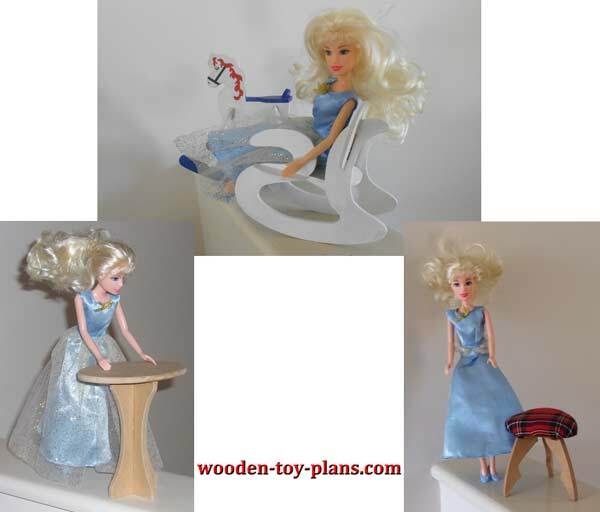 Fashion doll furniture plans rocking chair, elliptical shape lamp table and a three leg foot stool that you could use as a pin cushion.